As media companies start reporting quarterly corporate earnings, the television industry is bracing for another drop in households subscribing to cable. The question: Will it be as unsettling as it was last quarter? The vast majority of homes in the United States, nearly 100 million, remain connected to cable. But hundreds of thousands have dropped their subscriptions this year, so major media companies are feeling vulnerable. In the coming weeks, the performance of stocks like Comcast (CCV) and Disney (DIS) depends partly on how steep the declines are -- and what is causing the trend. Those stocks and others across the media sector suffered in August when earnings for April through June came out. 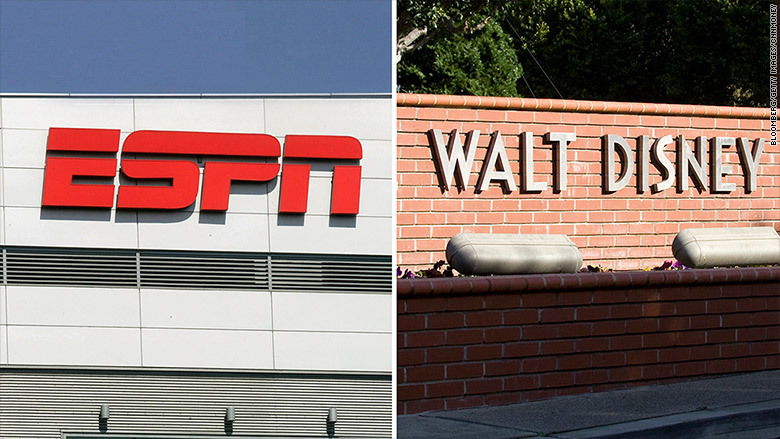 Analysts cited two primary reasons: Disney decided to reduce profit projections for ESPN, and data showed that roughly 600,000 homes stopped paying for a bundle of TV channels. The two factors are related. Subscriber fees for channels like ESPN are the backbone of the American media business. Fewer subscribers means lower profits for both distributors like Verizon (VZ) and programmers like Disney. The second quarter is typically the weakest of the year for the industry, for a variety of reasons, but this year was especially bad. That's why people are paying close attention to the results for the third quarer, or July through September. "The good news is that Q3 sounds better, but we are still looking at heavier losses relative to prior year," Wells Fargo analyst Marci Ryvicker wrote in a quarterly earnings preview. Ryvicker is predicting an industry decline of 282,000 cable homes, about 100,000 more than in the third quarter last year. Evercore ISI analyst Vijay Jayant is predicting a drop of 360,000, but said "it will nonetheless show an improvement" over the second quarter. Jayant noted that some of the major distributors are promoting "skinny bundles," which are smaller packages of channels aimed at younger subscribers. Verizon FiOS is one of them, and on Tuesday it kicked off media earnings season. Verizon gained just 42,000 TV subscribers in the third quarter, versus 114,000 in the same quarter last year. That means it's getting harder for the company to gain market share. On a conference call with analysts, Chief Financial Officer Fran Shammo acknowledged "lower paid TV subscriber growth" despite stronger growth in its broadband business. "Look," he said, "the environment is, Millennials don't want linear TV content. They are disconnecting their cable for just internet content and mobile content." He said Verizon is addressing that behavior by launching Go90, a streaming video service made for mobile phones. On the higher end, distributors are trying to sign up more homes for "triple play" bundles of broadband, TV and phone service. High costs and a growing number of streaming alternatives are two of the reasons why the bundle is under pressure. "The U.S. pay TV ecosystem is large, and its value (a remarkable $170 billion in 2015 revenue alone) is unlikely to disappear anytime soon, regardless of the rate of subscriber or advertiser flight," venture capitalist Liam Boluk said in an essay for ReDef this week. "But the real problem is relevance" -- meaning that people are spending more time with Netflix (NFLX), Twitch and other online options." Netflix pays huge sums of money to major media companies for the rights to stream their shows. But in the face of heightened concerns about losing subscribers, some CEOs have signaled caution in selling their content in future deals with Netflix. That issue is likely to come up when companies like Time Warner (TWX) (the parent of CNN) and 21st Century Fox (FOX) report earnings. On Thursday, AT&T (T) will report quarterly earnings for the first time since its acquisition of DirecTV was completed in July. And Comcast, the largest cable provider in the country, will report its earnings next Tuesday.